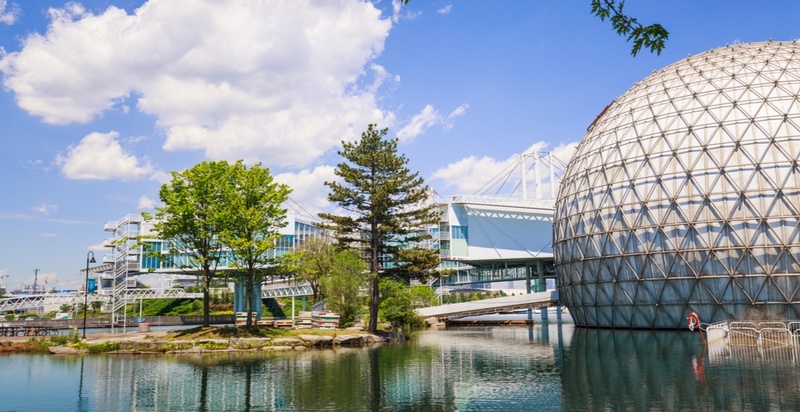 Toronto movie lovers will be thrilled to learn that the city’s architectural and cultural gem, the Ontario Place Cinesphere will be permanently reopening its doors this week. On November 3, Toronto’s iconic Cinesphere will kick off its first public movie screening, with a screening of Dunkirk at 8 pm, which will also play Saturday at 8 pm and Sunday at 7 pm. Beauty and the Beast will also be screening this month on Saturday and Sunday at 2:30 pm on both days. For those who didn’t get to enjoy a film at the Cinesphere in all its glory, it offers moviegoers a unique and immersive IMAX theatre experience that allows for screening of films with IMAX’s laser digital and in 70mm film technologies, giving you one of the most thrilling cinematic experiences in the world. The waterfront theatre will be open year round and will offer a variety of films suitable for all ages each week.